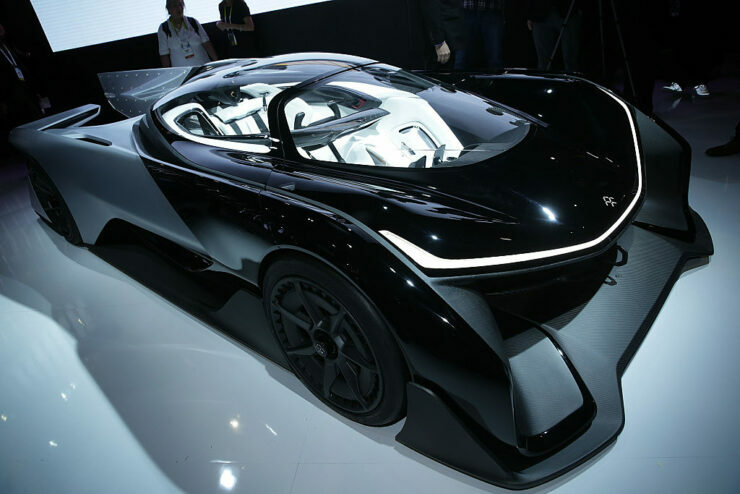 Faraday Future was the highlight of the CES event this year. The company marvelously showed off its new vehicle at the tradeshow and it was all the people talked about. The company also scored 64,000 reservations for its new vehicle and broke the internet. But alas, the show is over now in Las Vegas and the company is being tortured by its old problems again. Before introducing its new vehicle at the CES, Faraday Future had been facing a lot of financial crises and lawsuits. Rumors suggested it won’t last by February 2017. While this may have subsided after the company earned those 64,000 reservations, it is now being faced with another lawsuit. Faraday Future is being sued by a video-effects company called The Mill. Faraday Future has not been able to pay back for the virtual fly-through for one of its concept vehicles. The Mill had put down the estimates since last September for the company to pay back to produce a “graphic presentation with virtual reality, augmented reality and holographic components” for its display at the CES. Faraday Future would have had less than 64,000 reservations if it were not for The Mill’s realistic photo renderings of the new vehicle. It is a huge company, one that also makes videos for Audi, Honda, Lincoln and Subaru as well. Faraday Future had agreed to pay $1,822,750 in three installments but has only managed to pay up once. And that too was less the amount it had agreed to pay. It had agreed to pay $455,687, but instead paid only $20,000, not even half the amount. What it is left now with is to pay the other $1,802,750 with the interest and other video costs. Even though those 64,000 reservations are on the line for the company’s new car, it is still unclear how many of them are willing to pay for the $5,000 priority reservation. It was a very risky move to have the free reservation option so one can take a guess what people would have opted for. Otherwise, the company would have had no problem paying back its debts if it had only been the $5,000 reservation option. It is for that very reason that Faraday Future may be in hot waters again.